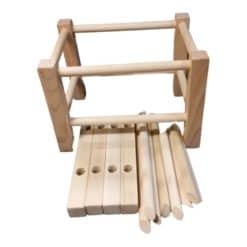 Strand Cane Foot Stool Kit, complete with tools & cane you need to weave it, including 270′ of Fine cane, finishing strip, awl, 12 pegs, round reed for the corners and a 20 page full color instruction book by Cindy Hammond. Unfinished, unassembled. 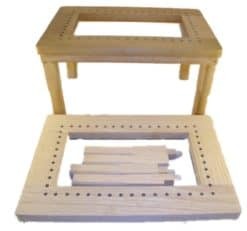 Strand Cane footstool complete kit that needs to be assembled, finished and woven. 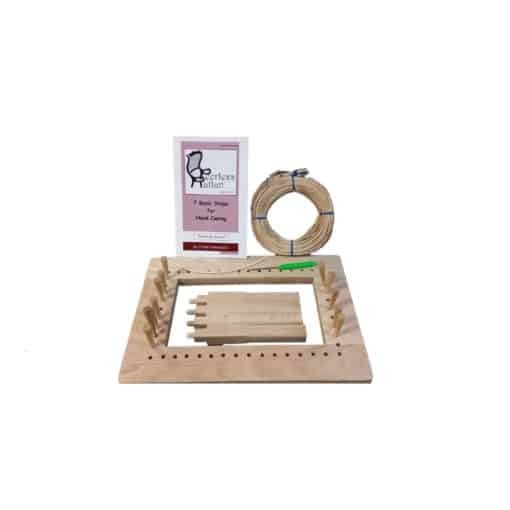 Includes all the tools and cane you need to weave it, including 270′ of Fine cane, finishing strip, awl, 12 pegs, round reed for the corners and a 20 page full color instruction book by Cindy Hammond. Size is 14″ x 10″ x 8″. This stool is an excellent teaching tool!